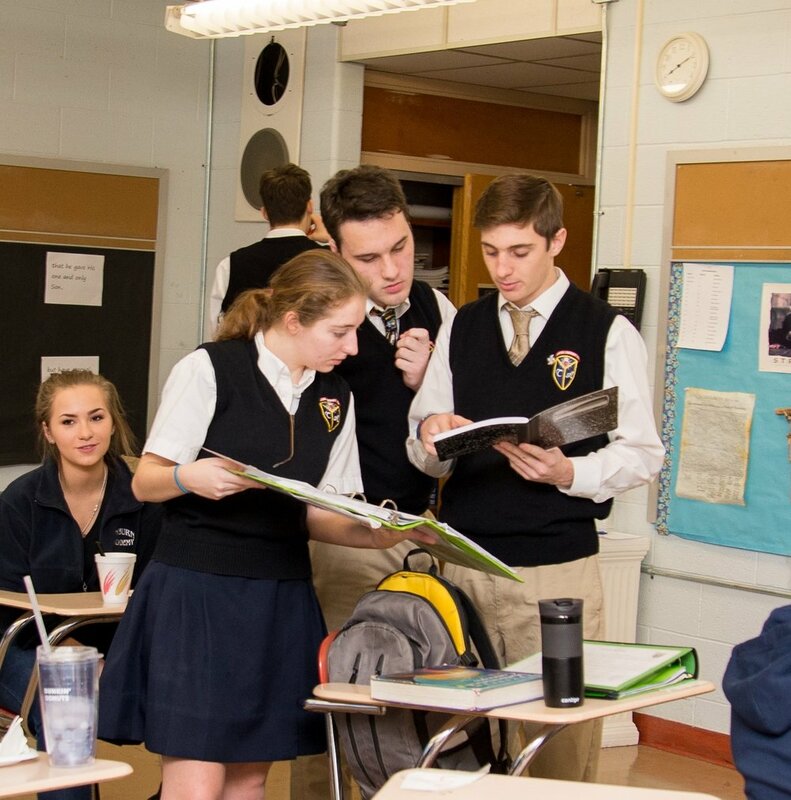 A college preparatory program rooted in the classical liberal arts allows each student to excel at a level supporting his/her academic abilities. Human formation is integral to the learning process. By educating our students spiritually, intellectually, morally, physically and socially we set them on a path to discover all that is true, good and beautiful. This discovery is true freedom and is a source of exhilaration and joy. Hence, our motto, "Veritas Liberabit Vos" - The truth will set you free. We allow a natural maturity process that builds confidence and dignity in each individual student encouraging them to rise excellence along with their peers. Our rigorous course load exceeds NY State standards and reflects a methodology that encourages the students to actively participate in the classroom. Teachers utilize their talents, wisdom and reason to create the best learning environment for their particular subject. Our teachers encourage students to develop independence and responsibility for their own work as they learn and mature while also offering students the individual attention and assistance they need to succeed. The classrooms are a familial place where each student is known by his or her peers and teachers.